If you advertise on Facebook, you’ve probably received an email titled “Important Facebook Pixel Update”. Here is everything you need to know about the update and what it means to your Facebook Advertising. 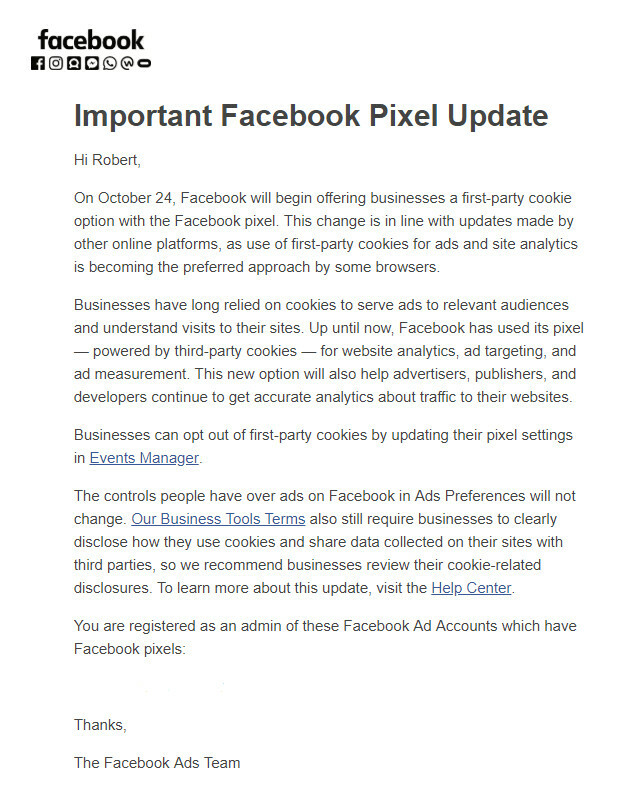 On October 24th, Facebook will update its tracking pixel, allowing you the option to use a first-party cookie pixel. Before this update, the Facebook tracking pixel was limited to third-party cookies. Before we explain the difference between third-party and first-party cookies, let’s address what cookies are and why they are important. 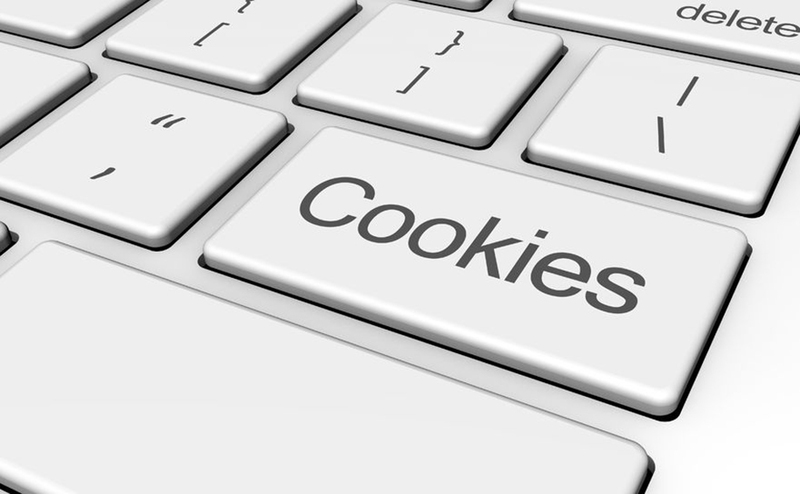 Cookies are small bits of code (text files) that identify a person as they browse the internet. They are helpful when we want to remember the items in a shopping cart, personal settings, or even our passwords. And they are incredibly important for those of us who advertise online, as they facilitate tracking website behavior, ad targeting, and even audience data. Technically speaking, there is no functional difference between first or third-party cookies; cookies are either accepted or they are rejected. The difference comes from the context of the cookie. Is the request coming from the website you are currently visiting? Or is it from another location? Cookie requests from the current site are referred to as first-party cookies, while requests from any other location are termed third-party cookies. From a security perspective, most guests want to have higher restrictions on cookies, and some browsers like Safari have decided to automatically restrict third-party cookies. Reports about website tracking show that more and more people and browsers are rejecting third-party cookies, and this is bad for us advertisers if we don’t have the option of first-party cookies. Earlier this summer, Google announced that Safari’s pending update to Intelligent Tracking Prevention would prevent proper conversion tracking. A conversion in this context means that a visitor took a desired action. For example, if someone calls your office after finding your site on Google, that is a Google AdWords conversion. These tracking events are essential metrics we use to gauge the performance of online advertising. Google moved quickly to resolve this issue and recommended all sites install the Global Site tag to help fix the issue of conversion under-reporting. This recent effort by Facebook to add first-party cookies is a similar workaround. The change to offer first-party cookies will happen automatically unless you decline to use first-party cookies. We recommend that all our clients move forward with first-party cookies, as intelligent tracking is vital to successful online marketing strategies. RH Medical Marketing specializes in Digital Marketing Services. Want to grow your practice? We can help! We offer a free internet marketing assessment! Give us a call at 312-632-9253, or fill out the form below.